Create your own cheese board! Check out this video and learn how to make your own Holiday feast. We put our passion & personality in bringing you some of the finest cheeses from around the world. Cow, sheep, goat and buffalo’s milk cheeses are all represented. Local to Northern California, USA, and International cheeses line our shelves; whether Farmstead, Artisan, Co-op or Industrial, your choices are-a-plenty. Our expert staff can help you with origin, country, style, tasting notes for each cheese and even a good wine to pair your choices with. Many of our cheeses are hand cut and wrapped and may be cut to your desired size. We can also create your own personal cheese trays for any event, large or small. Our Napa Valley Gourmet Cheese department has more than just cheese. 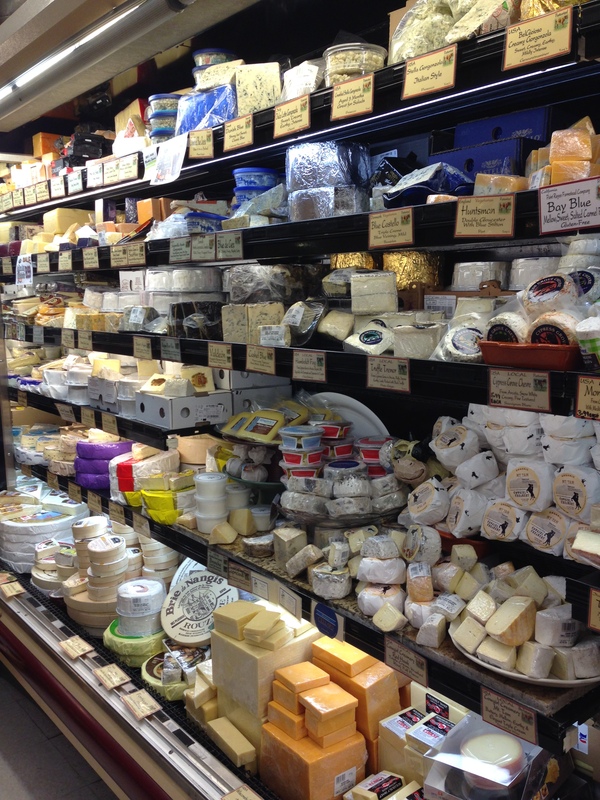 We carry a full compliment to foods that will make your cheese experience one to remember. Gourmet nuts, pate’, crackers, jams, and jellies are just a few items among the vast array of products. Situated right next to our Fine Wine department, we can pair your cheese to your wine event.